The Umbrella body of Muslims in Nigeria, Jamatu Nasril Islam (JNI) says it is absurd and wicked for the Christian Association of Nigeria (CAN) to blame Fulani herdsmen for the recent murder of over 70 persons in Benue State and other parts of the country. 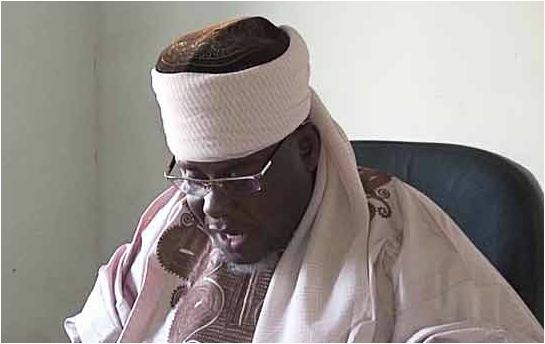 Addressing a news conference in Kaduna, the Secretary General of JNI, Dr Khalid Abubakar, cautioned CAN against labelling crimes or criminals in religious and ethnic lines, saying that crime no matter the identity of the perpetrator is condemnable and abominable. Furthermore, Abubakar accused the Adamawa and Taraba state governments of keeping quiet when according to him, over 900 Fulani Muslims were massacred by Christian Militia in Numan local government area of Adamawa and Mambila in Taraba states respectively. The Muslim body also condemned in strong terms the incessant attacks on innocent citizens by gunmen, and therefore called on the relevant security agencies to arrest the perpetrators of the heinous act. He also asked security agencies to carry out a thorough investigation on the sources of arms of the Live Stock Guards in Benue state who he alleged to have intimidated, extorted and forceful confiscated cows belonging to Fulani herdsmen as well as carried out extra judicial killings on innocent citizens since November 2017. “Government should be seen to be proactive on these security matters. The re-occurrence of security upheavals (kidnappings, armed robberies, rising bombs/attack of Boko Haram insurgents and ethnic violence here and there) in Nigeria is alarming, and there is urgent need for redress. “Citizens are becoming more and more agitated,” he stated.